"Great fishing today a little further south," posted Searcher July 20. 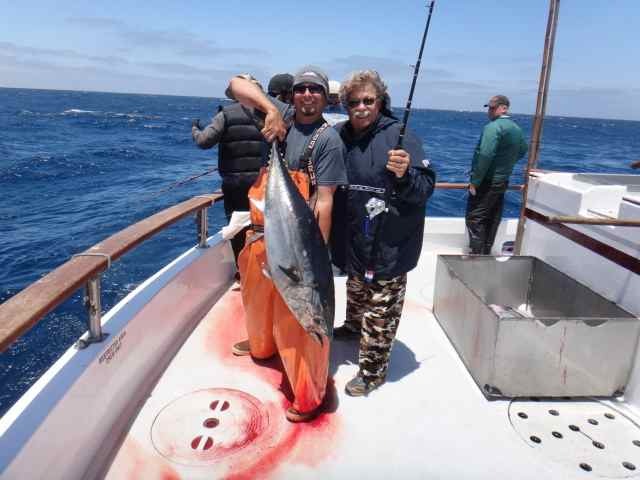 "We had bluefin tuna from 15 to 60 pounds and some small yellowtail 6 to 10 pounds. (We had) Plenty of action and lots of fun for most of the day today. 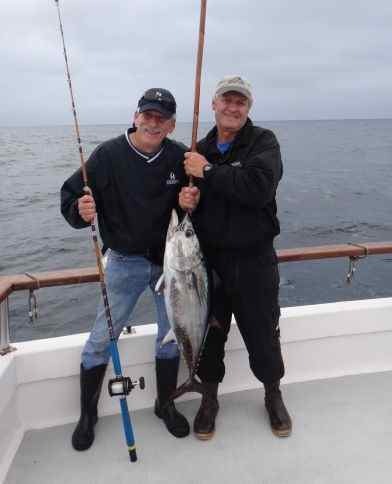 Capt Art and John Waggoner from Kentucky pictured with a nice bluefin tuna. The weather is great with very little wind and not much sea condition."